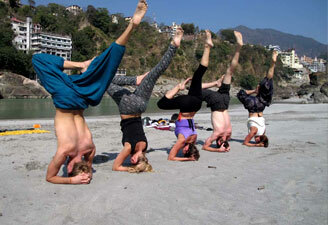 Rishikesh ayurveda yoga tour remains high in demand due to increasing stress in our life. Travelers book ayurveda yoga Rishikesh tour to unwind and refuel their senses. Indulge in a Haridwar ayurveda tour to spend some time absorbing the powers of this ancient science of medicine that originated in India. 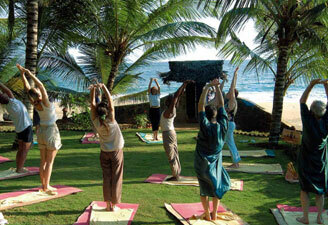 Experience an ayurvedic treatment in Haridwar or savor the richness of yoga tourism in Haridwar. Haridwar yoga tour takes you to some renowned yoga ashrams dotted here where you can partake in beginner as well as advanced level yoga courses. Contact us for best Haridwar ayurveda tour packages today. City tour to Delhi, which includes Jama Masjid -the largest mosque of Emperor Shahjahan. Later proceed to Red Fort, Raj Ghat -Cremation site of Mahatma Gandhi, to India Gate -a 42 meter stone arch built in the memory of the Indian Soldiers who died in World War II, Drive past the President's House & Parliament House, Humayun's Tomb - a memorial of the Mughals -its design is inspired by the Taj Mahal. Overnight in Delhi. After breakfast drive to Rishikesh Haridwar, the gateway to God which is 246 kms. & approx. 07 hrs. drive. On arrival transfer to hotel. Upon arrival drive to Ashram at Rishikesh. Rishikesh the holy city of India, the hatha yoga capital of the world, a totally vegetarian town. Arrive at Ashram, resting serenely on the banks of the holy Ganga, nestled in the lap of the Himalayas. Rest of the day accumulate the Ashram life. Overnight stay at Ashram. Early morning yoga class followed by relaxation of body & mind. After relaxation learn about breath awareness exercise & stretching exercise with one of well recognize personality. Before breakfast the Ayurvedacharya will check your body type and explain you different Doshas and details of prevention, maintenance and the improvement of one’s health and overall sense of well being. Afternoon visit the Triveni Ghats for exclusive Ganga Arti, dedicated to Goddesses Ganga. Evening yoga & traditional meditation class with one of well recognize personality. Overnight stay at Ashram. Today we will do relaxation, asana, followed up by one of well recognize personality. Later Stimulating & purifying Ayurvedic therapy as per the Ayurvedic consultant. Afternoon visit the ancient Bharat mandir & Rishi Kund Temple in Rishikesh. Evening yoga & traditional meditation class with one of well recognize personality. Overnight stay at Ashram. Today we’ll get training for PRANAVAM (advance breathing), Dynamic yoga. advance yoga postures. After Yoga you will Start your panchKarma****treatment today. Afternoon Drive up to Vashistha Gufa. The entire drive is along the river Ganges towards the source for about an hour. Arrive and explore vashistha Goofa (cave), where famous saint Vasistha, meditated. A perfect place for transcendental meditation. Late afternoon drive back to resort. Evening meditation and curative yoga. Overnight stay at Ashram. Early morning wake up for Pranayam & advance echinque of Yoga. After Yoga you will do PanchKarma treatment. Afternoon trip to Devprayag, one of the five most important confluences of Garhwal Himalayas. Arrive and explore the area. Also visit 10th centaury old temple of Ragunath ji. Overnight stay at Ashram. Morning after breakfast drive to Delhi which is 246 kms. & approx. 07 hrs. drive.Enroute visit Haridwar: Mansa Devi TempleChandi Devi Temple And Har-Ki-Pauri : (the footstep of God) ghat, also known as the Brahmakund, is one of the most sacred pilgrim places.. Upon arrival check in to the hotel. Overnight stay at hotel. Morning transfer to the International airport to connect flight for your onward destination.